Legumes are a source of all three recognised forms of dietary fibre – soluble fibre, insoluble fibre and resistant starch – which are responsible for many of the protective effects of legumes. 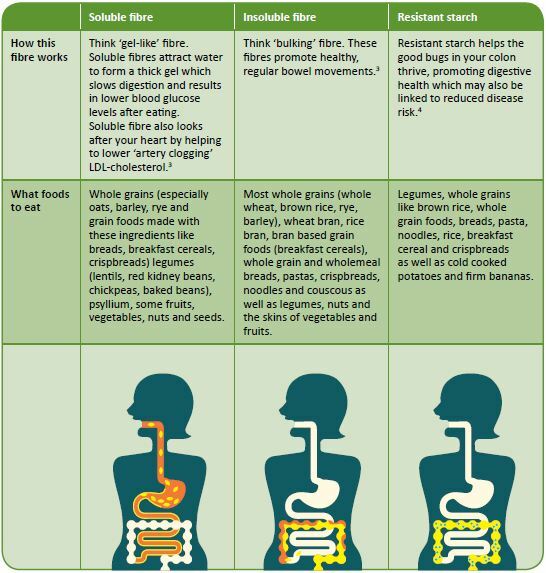 The total amount of dietary fibre contained in different legumes varies between 3 and 6 grams per 75 gram serve of cooked legumes. Manage and reduce risk of type 2 diabetes. Reduced risk of early death. Lower risk of digestive disorders. For further information on legumes, download one of our legume factsheet by clicking here.